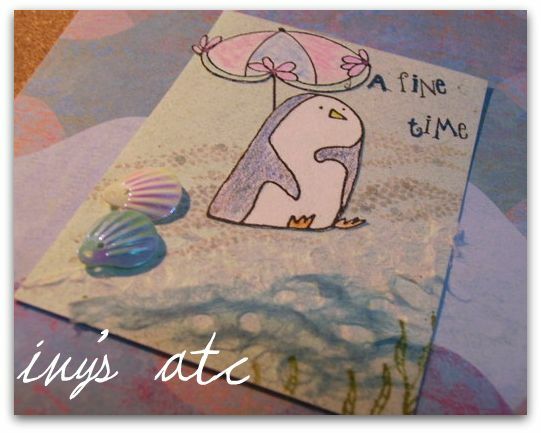 Cards, ATCs...anything is OK! Please enjoy! So ivy makes the sea with special paper. Let penguin can enjoy the sunshine in the seashore. Hi~Ivy!!! Thanks for participating my challenge! 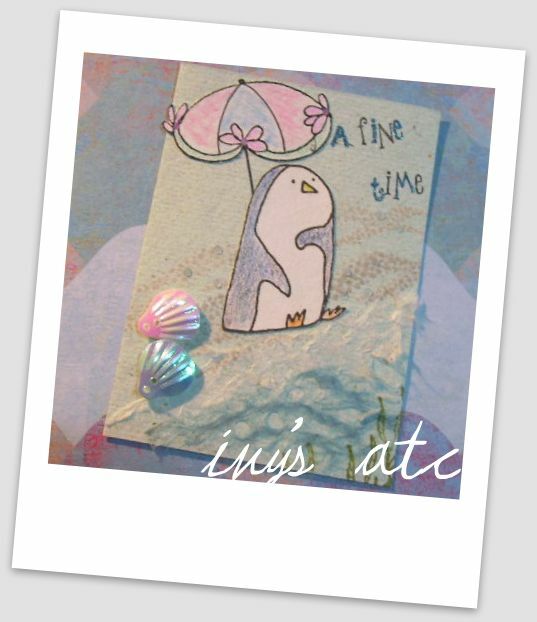 I'm so HAPPY:) Of course, I LOVE LOOOOVE your ATC! So Cute!! 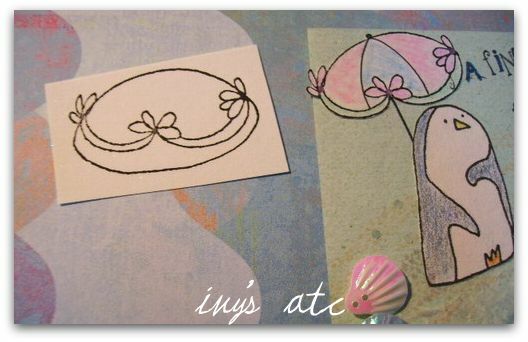 Love your parasol made from lady's skirt! Nice idea, Ivy! I'm very happy to enjoy your challenge!! Have opportunity to get OBP's stamp. Thank you, Rina, for your invitation. I'm very glad to join your activity. I have another news to you today! Please check latest Johanna's blog post! You won 25% off coupon @ OBP USA online shop! Because your invitation, I had chance to get the present.